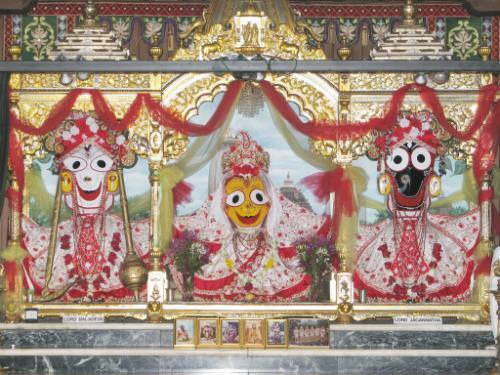 "The smiling face of the Deity in the temple is beheld by the devotees as transcendental and spiritual, and the decoration of the body of the Lord is very much appreciated by the devotees. It is the duty of the spiritual master to teach how to decorate the Deity in the temple, how to cleanse the temple and how to worship the Deity. There are different procedures and rules and regulations which are followed in temples of Visnu, and devotees go there and see the Deity, the vigraha, and spiritually enjoy the form because all of the Deities are benevolent."